Roundtable session at the 17th Herzliya Conference in partnership with the IDC. 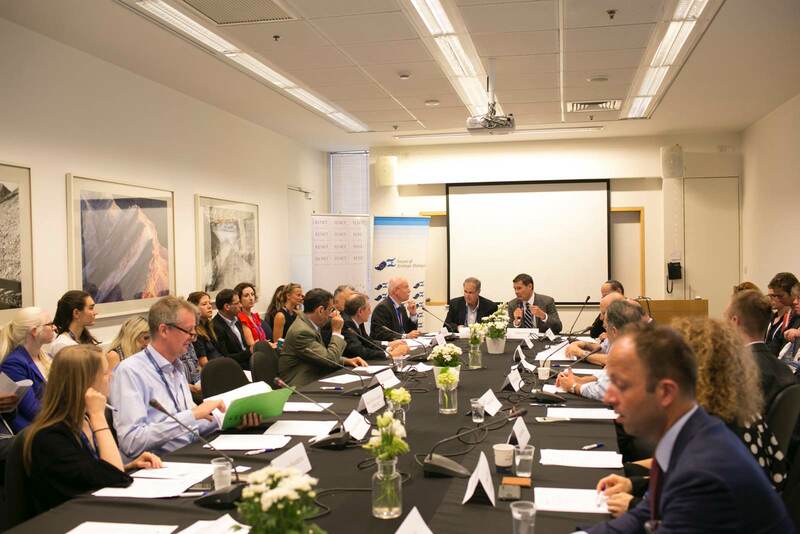 For the fourth consecutive year, ELNET and the FSD (Forum of Strategic Dialogue) hosted a special, invitation only Roundtable session on June 22, 2017 at the prestigious 17th Herzliya Conference in partnership with the IDC. Internationally renowned public figures such as former Prime Minister of Great Britain and Northern Ireland Tony Blair, as well as President Reuven Rivlin, former Prime Minister Ehud Barak, Education Minister Naftali Bennett, Opposition Leader Isaac Herzog, former Finance Minister Yair Lapid, and former Defense Minister Moshe Ya’alon attended the conference. For the full program of the conference, please click here. The Roundtable session was entitled “A new Europe in the making: what’s in store for Israel and the Middle East?” and included 13 carefully selected speakers from across Europe, the US and Israel, as well as around 30 influential decision-makers in the European-Israeli arena. The FSD and ELNET Roundtable attracted a full room of impressive senior practitioners and experts from across Europe and Israel.